Is it just me, or is there nothing as romantic or whimsical as a mountain wedding - especially one that takes place mid-June while the wild flowers are in bloom and the fresh mountain air circulates? Warm days, cool nights, the sounds of a mountain stream? No? Did I lose you there? 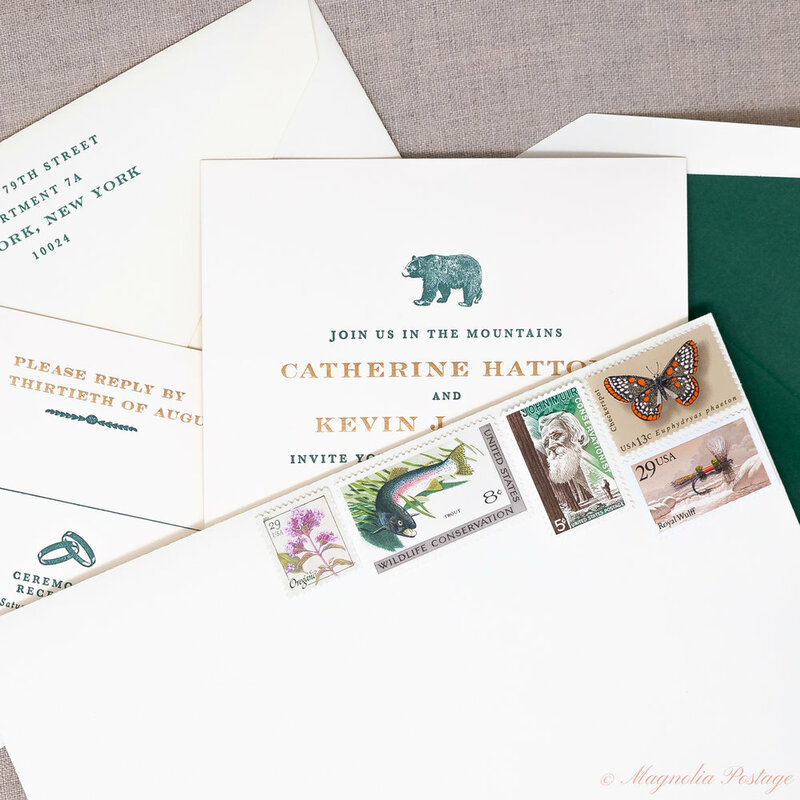 All weddings are perfect in their own way, but some of my favorite sets of vintage wedding postage to curate pull in mountain themes that highlight vintage stamps that feature things like fly fishing, hiking, skiing, wildlife, and mountain flowers. Gorgeous, right? Beautiful paper suite by Cheree Berry Paper.